Changing times throw up new idols. New idols influence succeeding generations. During China's 30 years of reform and opening-up, idols have played an important role. At the very beginning of reform and opening-up, Lei Feng and Wang Jinxi, hailed as examples to follow in the 1960s, were still the number one idols. No truly new iconic figures appeared until the end of the 1970s. On February 17 1978, People's Daily and Guangming Daily introduced Xu Chi's article "Goldbach Conjecture" from People's literature. This was the day when hundreds of millions of Chinese learned of Chen Jingrun, who was honored as China's "jewel in the mathematical crown". 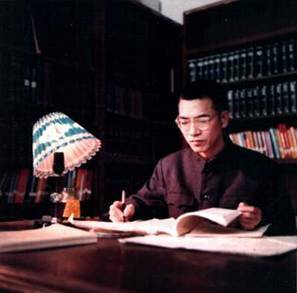 Chen's achievements moved the whole of China, and provided the incentive to develop science and technology skills in what was then a weak country. Deng Xiaoping’s theory "science and technology to be at the forefront of production" was first put forward in 1978. Following the example of their idol, many young people chose the path of scientific research in service of the nation. To be a scientist was the dream of most students at the time. Another national idol during the 1970s was Teresa Teng, a pop singer from Taiwan. It was an entirely new experience for young mainland Chinese to hear her romantic ballads, so different from revolutionary songs. Her popularity and influence grew through songs like "Your Sweet Smiles", "Small Town Story" and "The Moon Represents My Heart" which struck a chord with young people of the time. As well as her songs, her wavy hair and style of dress were copied by many young Chinese. Although she died over ten years ago, her songs are still sung all over China.